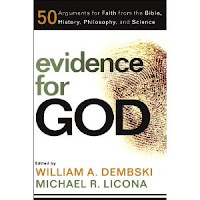 As promised here's the first instalment of my review of Evidence for God, edited by Dembski & Licona. You'll not be surprised to learn that the First Cause is not only "uncaused" but is also "God". But going right back to Step 1, Beck asserts, "We know of nothing that spontaneously initiates its own causal activity." (p 16.) I think a certain quantum physicist (name of Schrödinger) might have taken issue with this assertion. Be that as it may, the problem with Beck's argument is that he's refuting himself. He starts off by claiming that everything that has been caused must have a cause that caused it. This is nothing but tautology. It's the same as saying that everything that has been caused has been caused. Anyone can play that game: things that are coloured red are coloured red. But then he goes on to claim that this can't go on for ever, and therefore there must be something that started off all the causing, and because it started off the causing, it wasn't itself caused by anything else (which, you'll note, is yet more tautology — this first cause is uncaused because ... it's uncaused — and it's the first cause because it wasn't itself caused). It's also amusing to realise that the so-called First Cause posited by this infinity-averse argument turns out to be an infinite and eternal God. Beck specifically denies the idea of an infinite universe — but I don't think this is something you can simply assert. Our universe may have begun in the Big Bang, but the Big Bang may have been the result of something in an alternative eternal universe. This alternative universe, if eternal, does not need to have been caused. This is similar to the argument about something coming from nothing. The question, "How can something come from nothing?" may be an unnecessary question if there has always been something. This is similar to insisting that parallel lines meet at infinity. It's confusing a concept with a physical reality. Parallel lines do not meet anywhere, by definition. 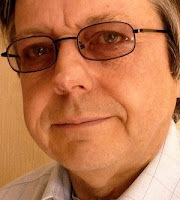 My other main objection to this argument, which to be fair to Beck, does admit of incomplete knowledge of our universe, is nevertheless the hubris of assuming any first cause must be God; that if the existence of contingent things demands the existence of something non-contingent, that non-contingent thing must be God, for the simple reason that God is defined as the only non-contingent thing. God of the gaps, anyone?